RUBI GIRL GOES TO EGYPT! Land of the Pharaohs! Cradle of the Nile! The dawn of civilization! “Umm Al-Dunya” meaning mother of the world! These are all justified phrases used to describe Egypt. Egypt’s rich history and stunning art proves that pure genius manifested centuries ago! An Egyptian named Imhotep was the first engineer, architect and physician in history. Ancient Egypt’s contribution in mathematics, astronomy and medicine still contributes to today’s modern thought. THANKS EGYPT! The Egyptians invented papyrus but it was the Chinese that invented the pulp paper making process! Lately political uprisings have made Egypt a hot topic on world news. The nation’s uprisings have set a trend for other Arab nations. 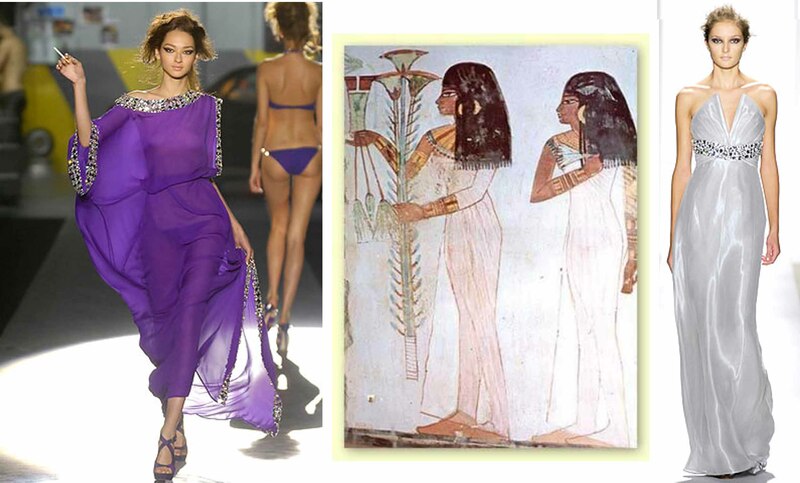 This is unsurprising because Egypt has been a trendsetter since ancient times. 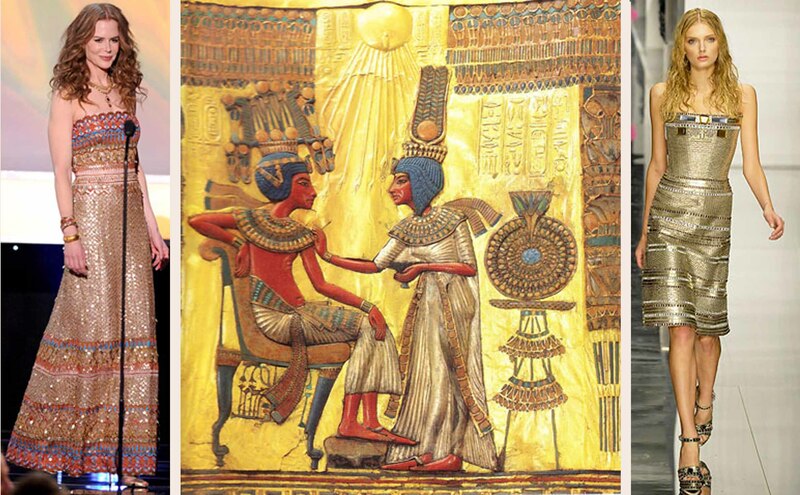 Even during ancient times, they were passionate about fashion. They wore linen, cotton and silk garments. The upper class and royalty adorned themselves in jewelry. Modern Egypt is cosmopolitan. 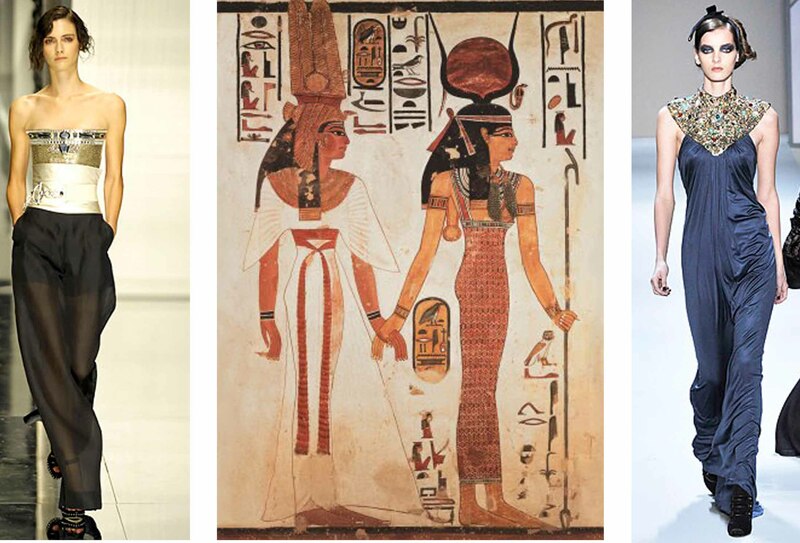 Due to a strong cultural identity and rich history, modern Egypt reflects a unique combination of antiquity and modernity that is evident in today’s fashion. A popular Pharaonic trend is the “cat eyes” Some say it was a certain breed of cat called Egyptian Mau that inspired the trend. 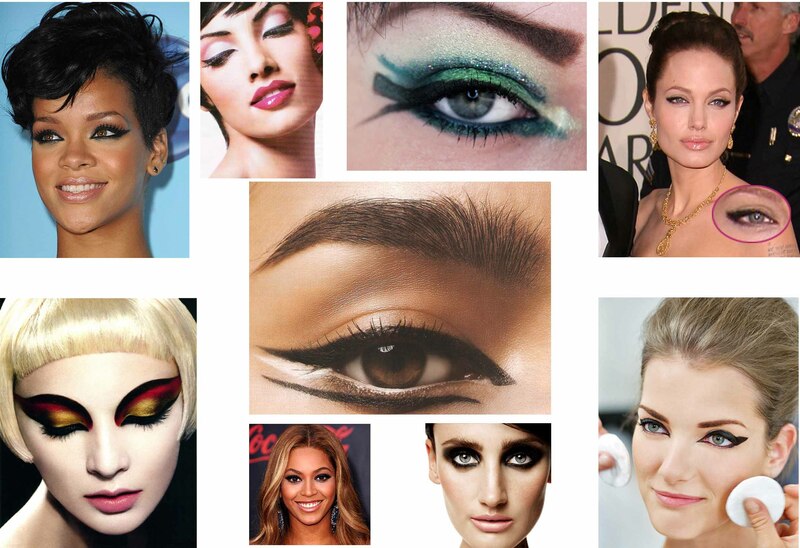 The Cat Eye Look Is Bold and Timeless! 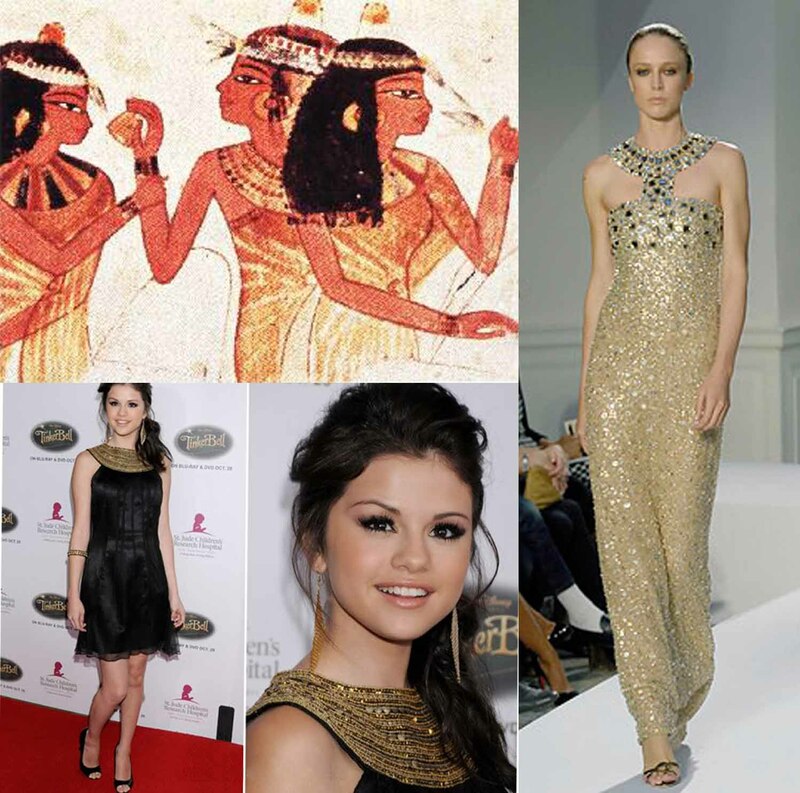 Ancient Egyptians used black kohl to create the look. Various versions of cat-eyed makeup are still trending to this day. We all know Cleopatra the most legendary Diva of all time! 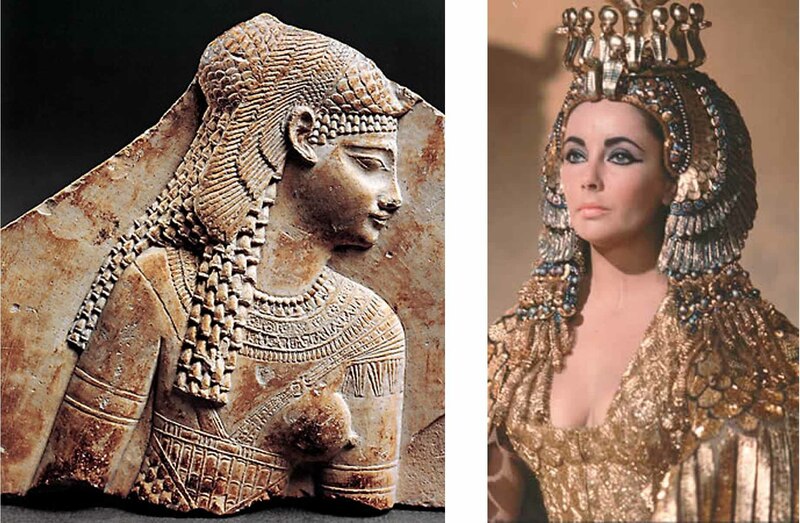 Cleopatra, "The Original Diva" and The Legendary Elizabeth Taylor as Cleopatra! Craving to see more of Egyptian culture and their current fashion, I figured a trip to Egypt was overdue. So I cracked open my chump change wallet and purchased a $2.50 ticket on Metro Air F Line from Jamaica, Queens New York, to Egypt! 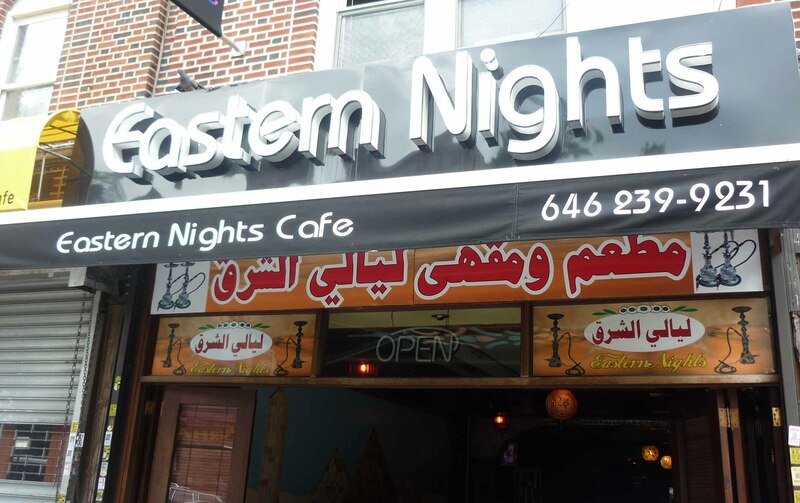 🙂 Weeell okay, I landed in Astoria, New York’s Little Egypt located on Steinway between 28th Ave and Astoria Boulevard. Little Egypt on Steinway between 28th Ave and Astoria Boulevard. Although called “Little Egypt”, it seemed more like a little North Africa. 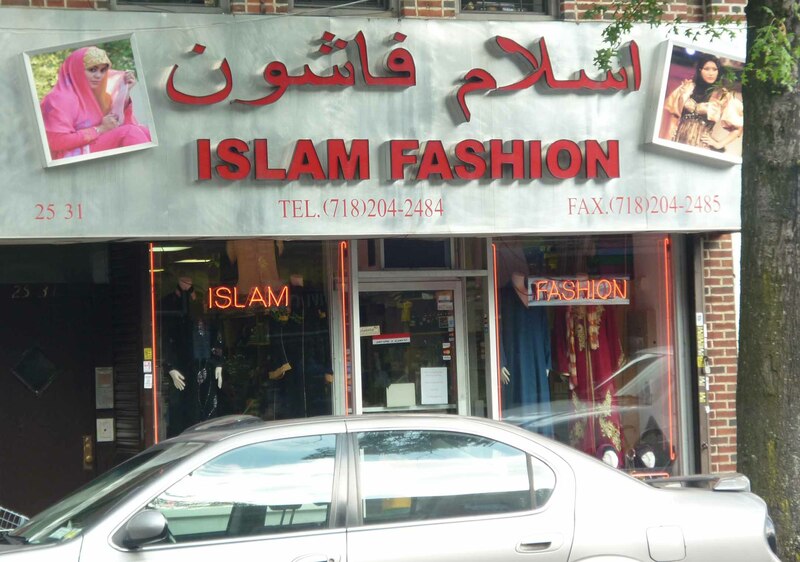 My previous travels prove, New York truly is a melting pot! 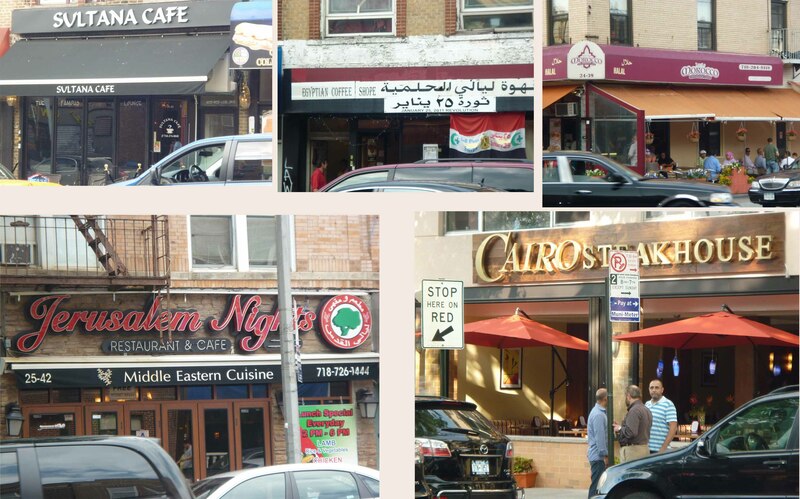 So of course there weren’t only Egyptian stores in Little Egypt. 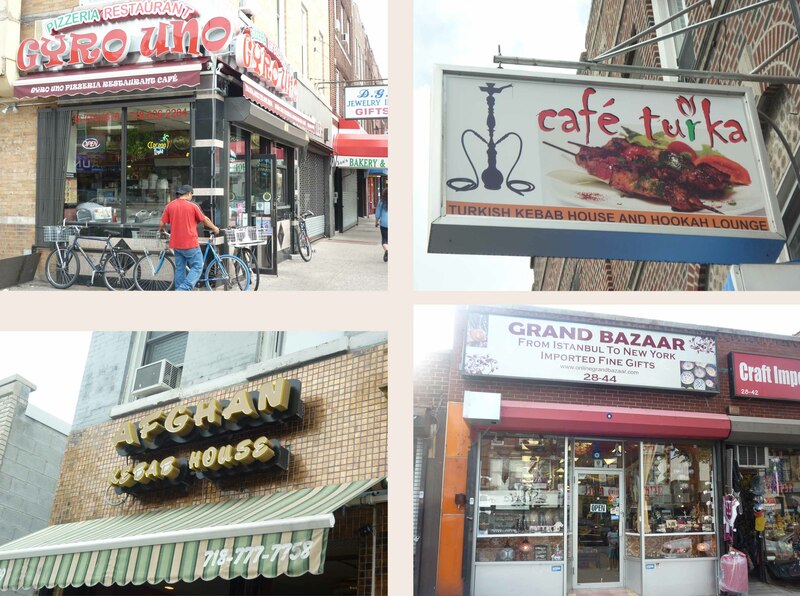 Moroccan and Egyptian restaurants, grocers, fashion stores, and hookah cafes were the majority. However, there were also pizza shops, a Turkish store, and Greek restaurants. 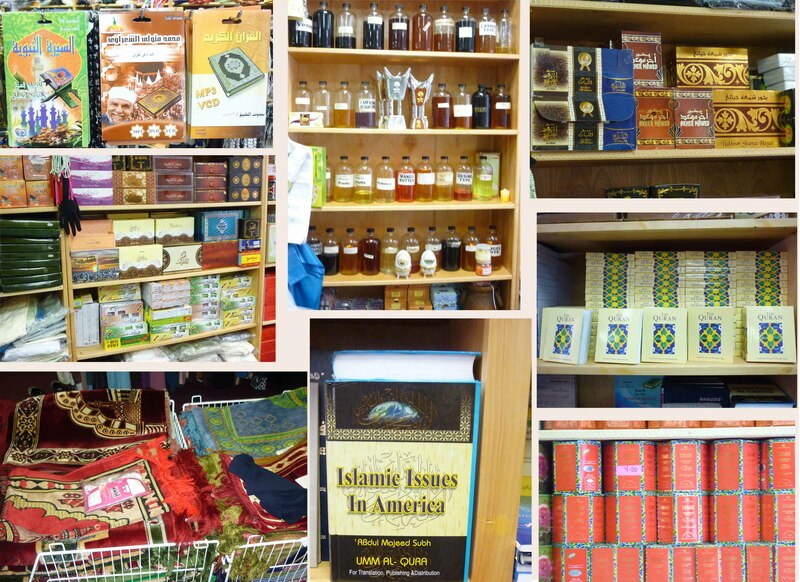 I felt like I had walked into a New York slice of North African heaven. I love the zebra print hijab the Moroccan lady in the burgundy pants is wearing! 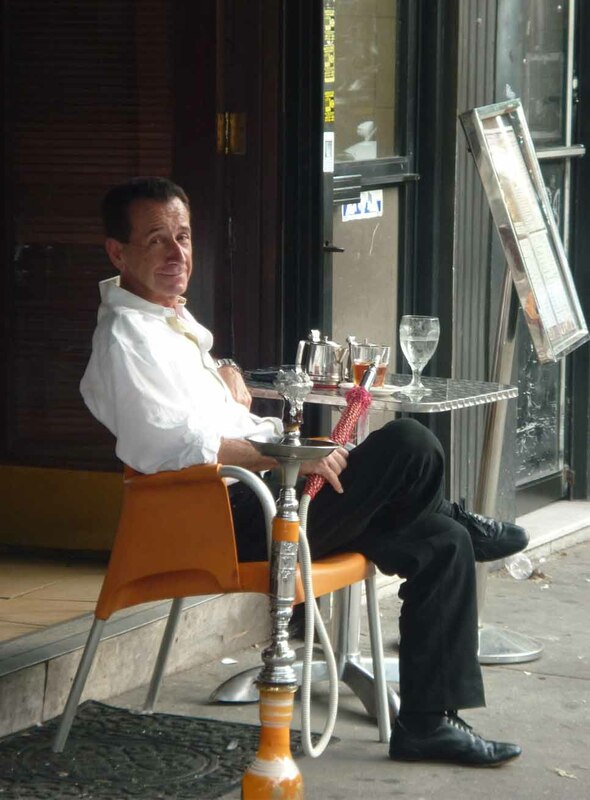 Here is our hookah Instructor for today! GET READY TO GET YOUR SMOKE ON!! 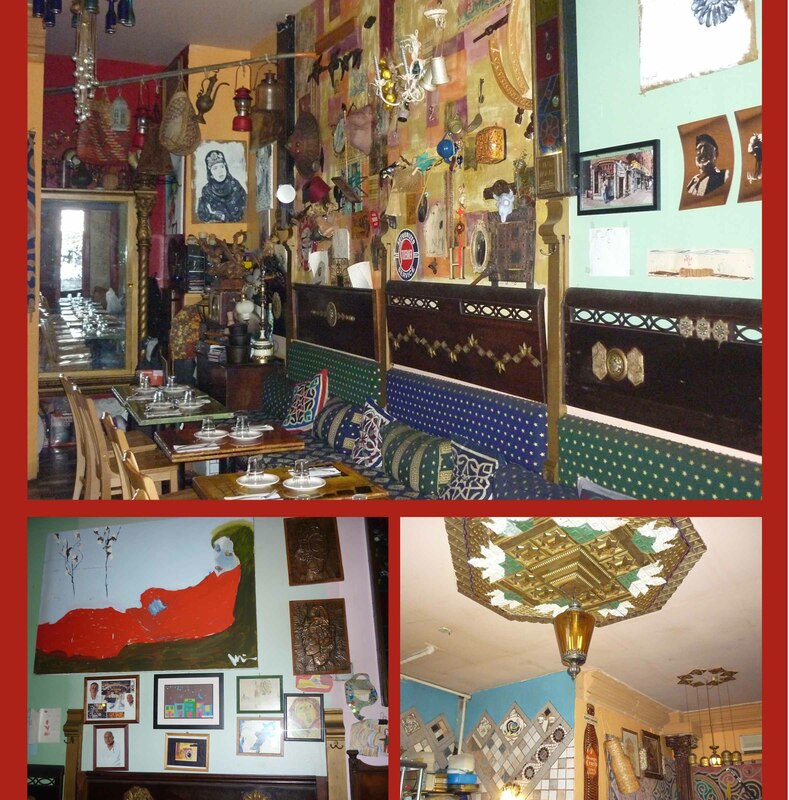 That heavenly feeling I felt was confirmed when I stepped into Mombar Southern Egyptian Cuisine restaurant for lunch. 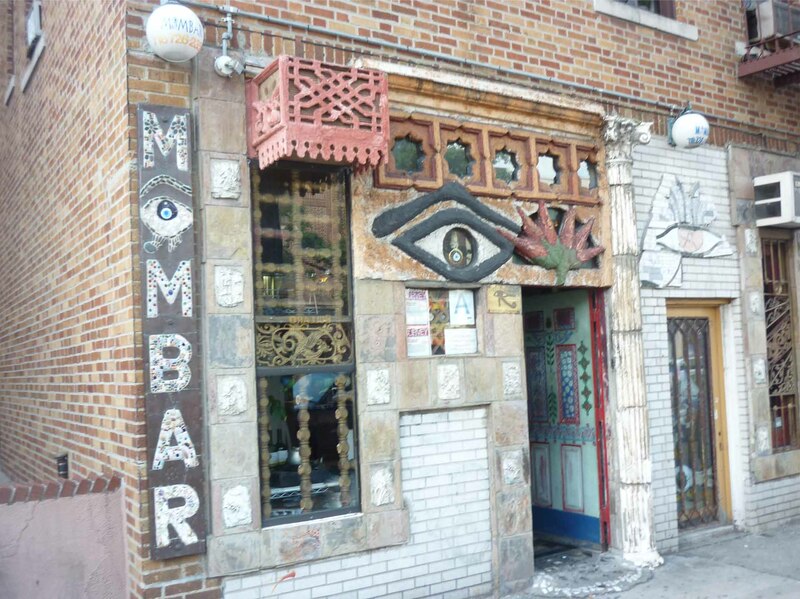 Mombar’s atmosphere is warm, inviting and friendly. While lounging on embroidered pillows and waiting for my meal, I conversed with the store’s owner Moustafa, his brother Ali, and the waiter Nasseif about life and politics. 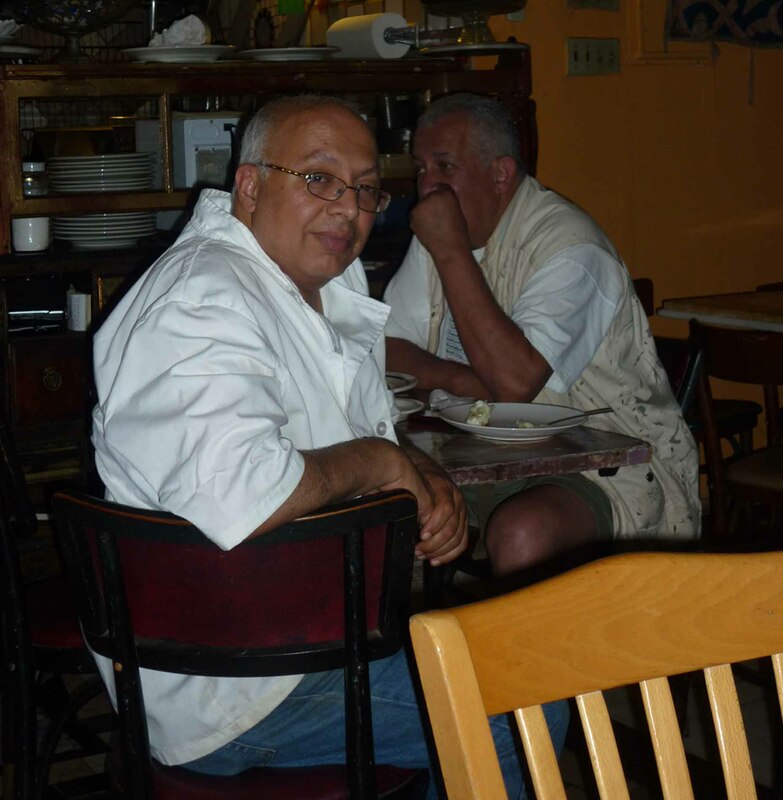 Some say savvy food lovers have befriended Moustafa and Ali because they’re Little Egypt’s culinary giants! Nasseif, the waiter, recommended the salmon and vegetables stuffed in a light dough crust. Embarrassingly, the food was so good, I really reeaally wanted to lick the plate! But alas, my momma taught me manners! 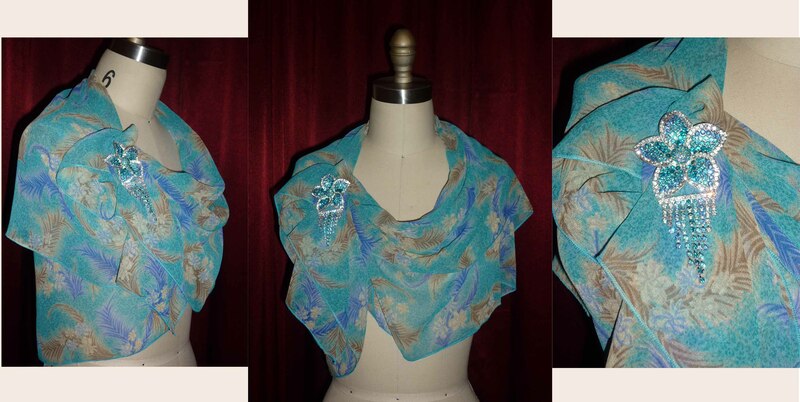 There I purchased my mother a beautiful scarf and broach for her birthday this month. Yup she’s a Leo! 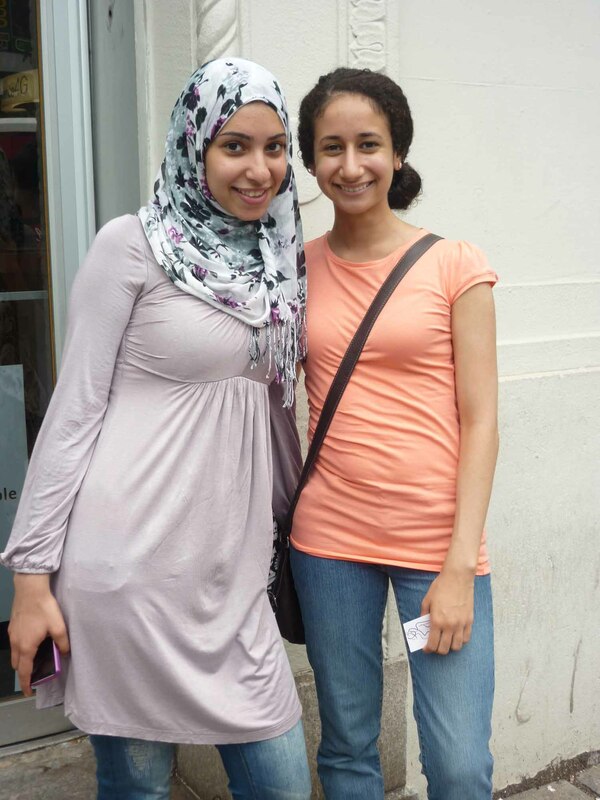 While soaking in Little Egypt’s sights, I came across Alaa and Noura. Alaa donned a floral hijab over a long sleeve knit dress and jeans. Noura wore a casual peach tee and jeans. 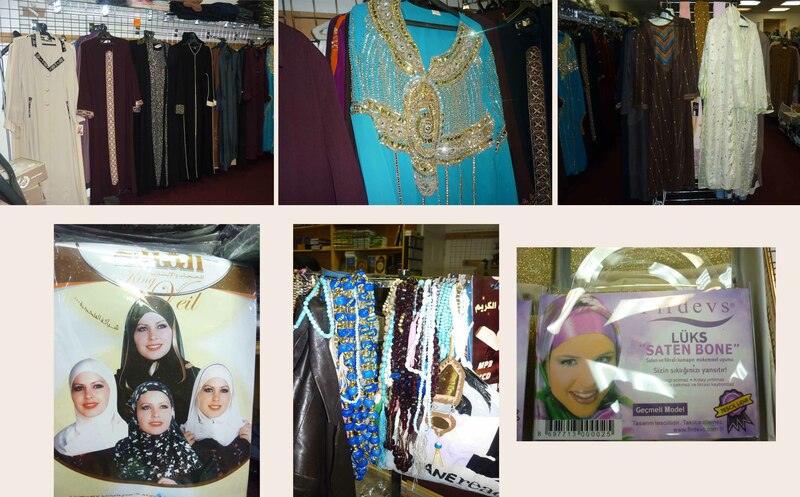 They told me that here in the States and Egypt young girls are very creative with their hijabs. 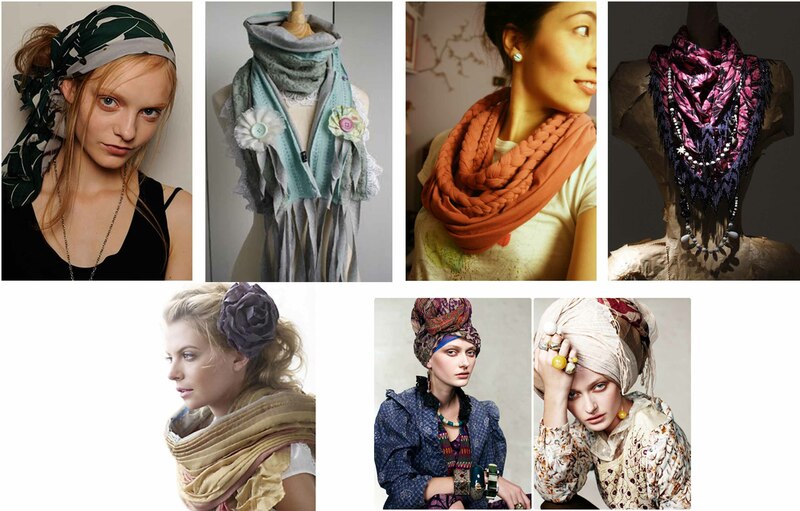 Some wear several different hijabs to create a colorful, vibrant layered effect. Others match their hijabs to their shoes or shoelaces. Hijabs are the head coverings Muslim women wear. Watch this video highlighting Hijabs styles. There are some stunning designs! There are many hijab tutorials on youtube! 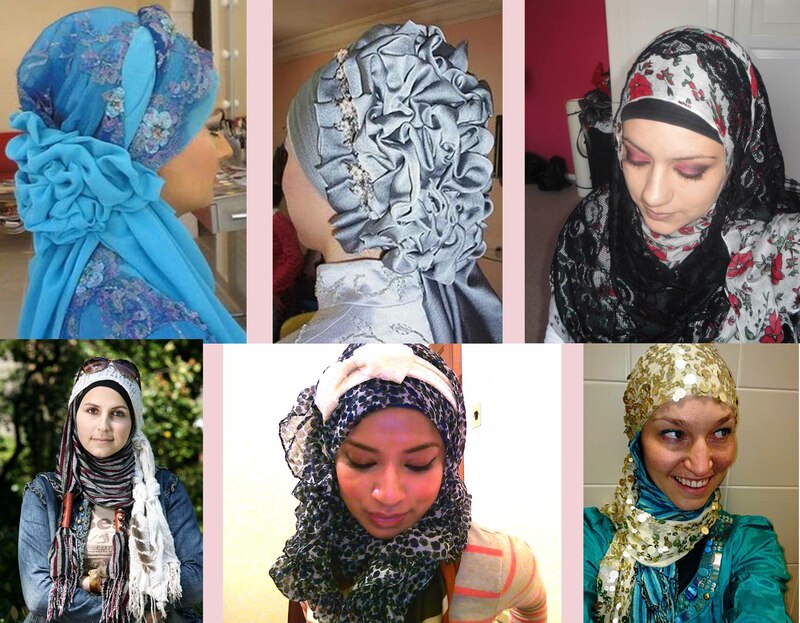 If you’re not Muslim you can apply some of these techniques to create a unique head wrap, scarf design around your neck, sarong wrap, and belt. Never hesitate to get creative; the possibilities are endless! The hijabs tutorials on You Tube really got me thinking! Being that I am a West African Liberian girl ( Michael Jackson made that song “Liberian Girl” about me ! :D) I decided to layer polka dots and paisley prints with bold African prints, and wrap my head using some hijab techniques. Here I layered a sheer paisley fabric with a bold African print. Okay my fellow travel buddies, I have to go for now but our fashion journey in Egypt is far from over! Stay tuned for the sequel “RUBI GIRL IS STILL IN EGYPT” ! 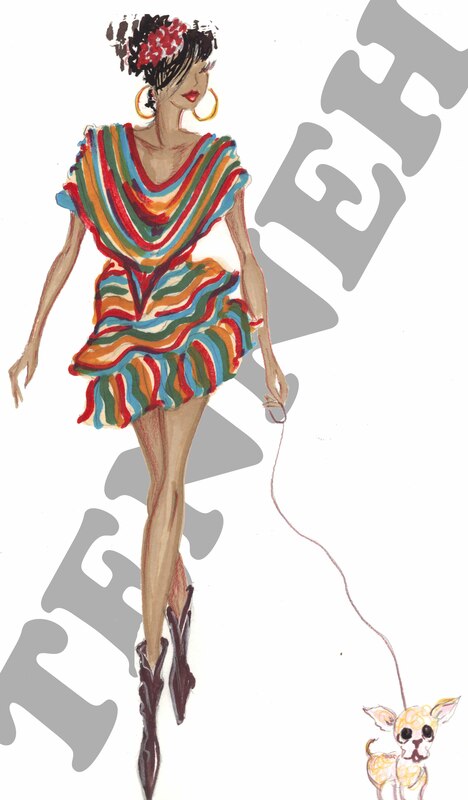 Also, in that blog I will debut the Poncho Dress from “RUBI GIRL GOES TO MEXICO”! !